Klipspringer’s brooms, scrubs, and deck scrubs make cleaning easy. 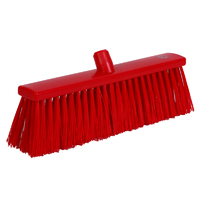 Long, short and waterfed bristle brushes provide effective sweeping and abrasive action. 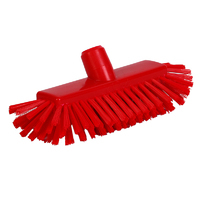 Klipspringer bristle brooms are highly effective at providing an efficient and effective clean. 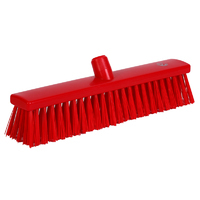 Their long polyester PBT bristles are durable, keeping their shape and effectiveness, and the brooms come in both long and short bristle varieties. Scrubs, such as the hi-low multi-angle scrubbing brush, offer exemplary cleaning from awkward angles. Whether that be at a height, low down to the ground, or in an unusual place, the bristles, which are positioned in four directions, make easy work of cleaning your chosen surface. Klipspringer’s deck scrubs are available to purchase in extra stiff and waterfed varieties. The Extra stiff brush provides highly abrasive action for superior cleaning, whilst the waterfed brush is filled with PBT filaments that are water resistant. 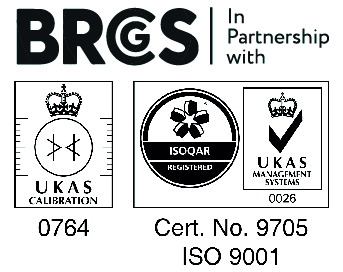 Extremely effective sweeping with initial investment, outperforming multiple replacements of traditional broom heads whilst providing superior results. 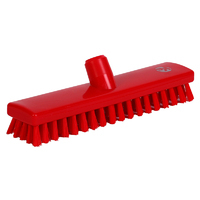 Long polyester PBT bristles resolutely keep their shape. Available in 2 working widths. Strong 1.0mm polyester PBT bristles embedded firmly in KsPrism high pressure moulded stocks deliver the results you would expect. 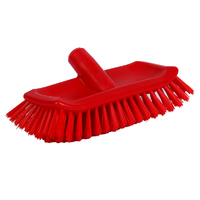 Available in 2 widths, these short bristle brooms combine the roles of longer bristle brooms and short bristle deck scrubs with excellent results. Curved brush stock filled with medium length colour matched PBT filaments provide 4-directional bristle profile enabling effective work from shallow angles, awkward heights, cleaning under immovable equipment or simply to assist the shorter operative! A traditional deck scrub filled with water-resistant short PBT filaments. A traditional deck scrub with short 25mm extra stiff filaments for an extremely abrasive action - extremely resilient to water absorption.